Leverage in Network Marketing: What Makes MLM So Appealing? Today, I want to talk to you about leverage in network marketing. Leverage is a very powerful concept most people do not understand. Why? Because it isn’t taught in most homes or at school. In my own words, leverage is about working smart. It’s about working with tools, resources, money and/or other people to maximize your earnings and efforts. Leverage in network marketing comes from building a team, a network of people, who all use the products, sell the products and build a team of their own. By building a team, you can potentially earn overrides and commissions from EVERYONE on your team, not just your own work. Your network might be 100 people, 1,000 people or even 10,000 people. This is much better than just getting paid on your own personal production. Why? Because one person can only do so much. There is only so much time in a day. Think of it this way for a minute. Would you rather sell $100,000 worth of products yourself or help 10 people each sell $10,000 worth of products? Or, would you rather have 1,000 people each sell $100 worth of products? Which would be easier to do? Network marketing is about a lot of people each doing a little bit, not one person doing a lot. If you just want to sell products, do direct sales. If you want leverage, do network marketing. One of my mentors taught me a valuable lesson. This is what he taught me. Everyone not involved in network marketing does not understand it or they would be involved. Even worse, at least 95% of the people involved in the MLM Industry do not understand it, or they would be actively growing their network. You see, most people are stuck in the “trading time for money trap”. Even if they are a professional, earning hundreds of dollars per hour, their income is limited to the number of hours they can work. Basically, they will either max out or burn out. Worst of all, if they stop working they stop getting paid! MLM is not perfect. We have more than our share of haters. You might be one of them. While our industry has plenty of problems, it offers the AVERAGE person something most other business models do not. Network marketing offers people a way to earn their time and money freedom. It allows you to start your own business for just a few hundred dollars. You don’t need employees, a building, inventory or any of the headaches that come with owning a traditional business. While most people in MLM do not make much money, the sky is the limit. You get out what you put in. Network marketing is the ONLY business model I know of that lets you earn a LEVERAGED, RESIDUAL INCOME without needing employees or start-up capital. All other business models require money and/or employees to have any type of leverage. Most people who join our industry make one common mistake. All they do is TALK ABOUT THE PRODUCTS. They focus on SELLING the products. While I will be the first to admit that customers are important, and you need product sales, that is not the purpose of MLM. 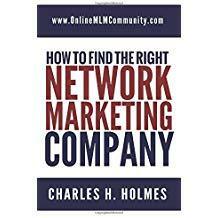 Network marketing is not about one person selling a lot of product. That is DIRECT SALES. Do not confuse the two. They are completely different. 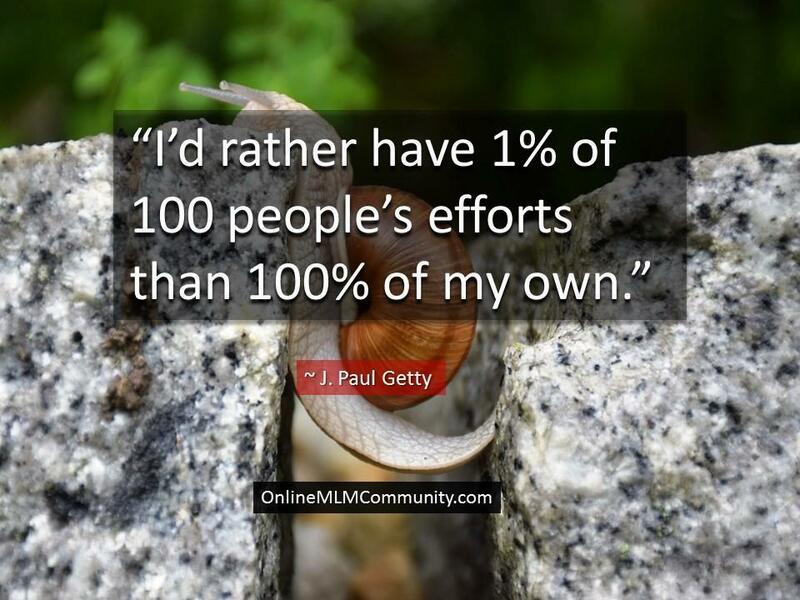 Network marketing is about lots of people doing a little bit. # 1 You use the products yourself. It’s important to be your own best customer. Never use a competitor’s product. Using your products will help develop your confidence and belief in the products and company. Plus, it will give you a great product story to share with others. # 2 You service 2-5 customers. Yes, you need customers. All businesses need customers. I think all reps should personally service 2-5 customers themselves. This will give them retail profits, legitimatize their business, and cover most of their business expenses. # 3 You recruit others and teach them to do the same. To get leverage in network marketing, you must recruit and build a team. It should not be your only focus, but it should be your primary focus. Your job is to recruit and then teach your team what you know. # 4 You repeat this process over and over and over. It takes time for leverage to kick in. For the average person, you will need to work for a minimum of two to five years to create a steady, stable and predictable leveraged, residual income. Your job is to stay persistent and consistent, and keep servicing customers and recruiting new distributors each month. After a period of time, the Slight Edge Principle kicks in and your income grows substantially. These are the four steps to success in network marketing. Here are a few of my best tips for success to get more leverage in network marketing. # 1 Develop your people. This is a business of personal development. We grow people and people grow the business. # 2 Attend events. We are an event driven business. The more team members you can influence to attend events the more your business will grow. # 3 Look for leaders. Network marketing is a leadership business. Leaders give you the most leverage in network marketing. Even two to five good leaders can allow you to earn a six figure residual income. # 4 Have solid training for your team. Train and teach your team whenever possible. Your job is to tech people to teach people to teach people. The more skills you help your team develop the more money you make. # 5 Provide recognition, encouragement and support for your team. Make people feel like they are part of something bigger than themselves. People crave recognition. # 6 Stay the course and do not quit when times are tough. All businesses are tough in the beginning. Take the long-term view, stay the course and put in the work. A few years down the road you will look back and be glad that you did. There you have it folks. These are my best thoughts and ideas about leverage in network marketing. Do you agree or disagree with me? Leave a comment below and let me know what you think. I look forward to hearing from you.